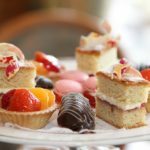 Enjoy a lazy and indulgent afternoon with friends and a sumptuous afternoon tea at the Coppid Beech Hotel in Royal Berkshire. 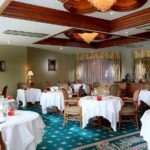 This majestic 4-star Alpine styled hotel is in a picturesque setting near to Windsor and Ascot. 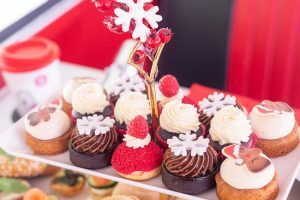 Afternoon tea is served in the elegant and informal surrounds of the lounge bar on delicate tiered cake stands. This decadent afternoon tea boasts finger cut sandwiches with fresh, seasonal fillings. 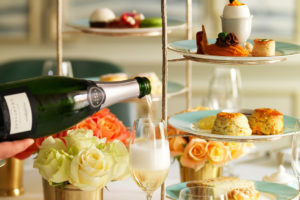 Followed with tempting, miniature cakes which melt in the mouth and traditional scones with sweet confit and a generous portion of clotted cream, you have the perfect ingredients for a traditional afternoon tea. 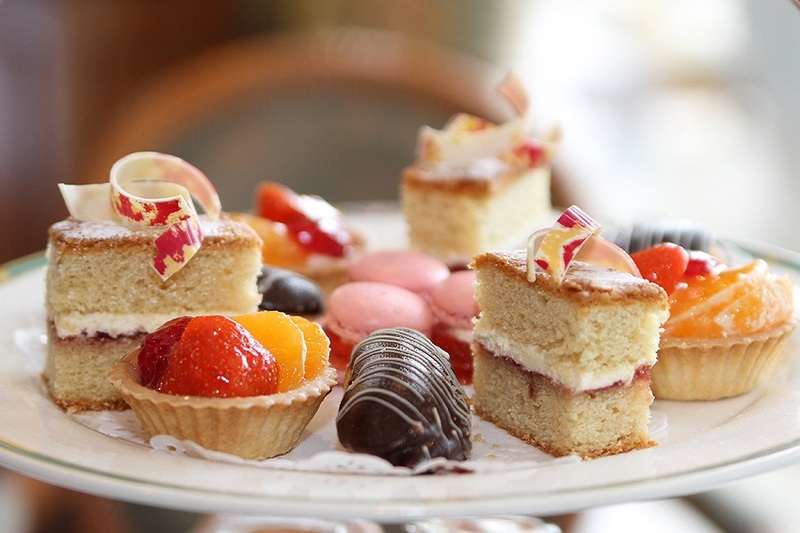 Your afternoon tea is accompanied with your choice of freshly brewed tea or coffee or fruit and herbal infusions. The chefs at the Coppid Beech would be delighted to help with any dietary requirements and offer vegetarian, gluten free, dairy free and vegan afternoon teas. 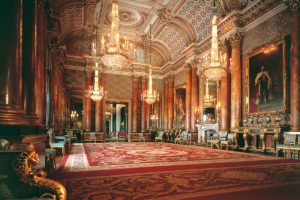 Simply let them know 48 hours in advance and they will be happy to accommodate your specific requirements. 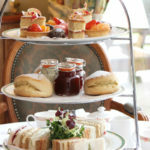 This delightful afternoon tea at the Coppid Beech is available to buy as a gift voucher from Virgin Experience Days. Priced at £33 for Two, this would make a lovely gift for somebody celebrating a birthday or who deserves a special treat. You could always opt for the e-voucher option and treat yourself and friend. Either way, your afternoon tea gift voucher is valid for up to 9 months, so plenty of time to get a date in the diary. To buy or for further information, simply select the Book Now below. Enjoy a lovely afternoon out.